Days after he bought a used 2010 Infiniti EX35 from a Nissan dealer, Daniel St. Onge realised the odometer was adding kilometers too quickly. When he measured the mileage against his GPS navigator, the discrepancy was five percent or more. Mr. St. Onge complained to Nissan who referred him to the dealer. Using Mr. St. Onge’s own GPS unit as a reference, the dealer tested the Infiniti and confirmed the odometer was indeed recording too quickly – by up to 11 percent at some speeds. The dealership ruled out errors due to using the wrong size tires or road conditions. Nissan Canada refused to fix the odometer. Mr. St. Onge sued Nissan for damages resulting from the premature expiry of his warranty, and additional expenses for more frequent vehicle servicng and lost resale value. 1) We didn’t do it – Nissan Canada is just a distributor for vehicles it imports from an independent foreign company (Canadian affiliates of multinational automakers try this excuse fairly regularly). Judge André Brochet didn’t buy it. He ruled that Nissan Canada was part of the Nissan Motor Company Ltd. family, who manufactured the Infiniti EX35. 2) The federal Motor Vehicle Safety Act allows an odometer and speedometer to be off by up to ten percent. (The federal requirement for odometers, which goes back to the era of wind-up alarm clocks and rotary-dial phones, has never been updated. When outdated safety standards are left on the books, automakers sometimes use them to justify low levels of protection.) The judge concluded that the federal safety act did not protect Nissan from selling a vehicle that records false mileage readings under the provincial Consumer Protection Act. The duration of a warranty in Quebec must be determined in a precise manner. If an odometer were to record the incorrect mileage, the manufacturer has a duty to disclose it before the consumer consents to the purchase. Failure to do so is an ommission of an important fact that affected the price a purchaser would be prepared to pay. The judge took a different view of the decision provided by Nissan in the class action instituted in Quebec. The case had not made it past certification due to flaws in the selection of the class representative. 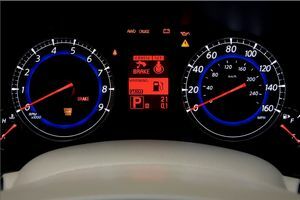 Judge Brochet concluded that the issue of Nissan’s odometer errors had never really been tried before a court in Quebec. The Nissan dealer had used the consumer’s own unit to run their tests, which confirmed his findings. Nissan didn’t provide figures from a certified GPS unit to contradict those numbers. The judge said that in the absence of any other evidence, the Court would rely on the best evidence, which were the figures submitted by the consumer and confirmed by the dealer. Judge Brochet allowed the full $3,000 claimed by Mr. St. Onge plus costs and interest as a reasonable reduction of the $31,000 price paid for the EX35. The case is a very good template of how to argue an odometer inaccuracy case with an automaker in Quebec. The complete decision in St. Onge vs Nissan Canada (case no. 200-32-059430-131) written in French is available here.